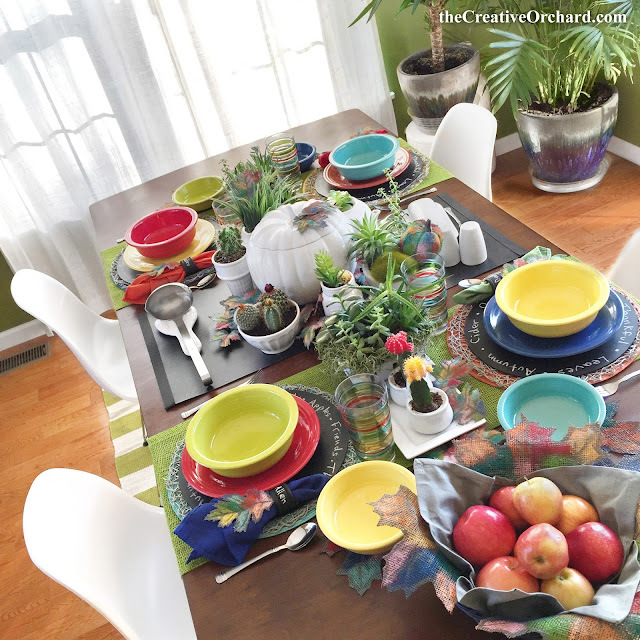 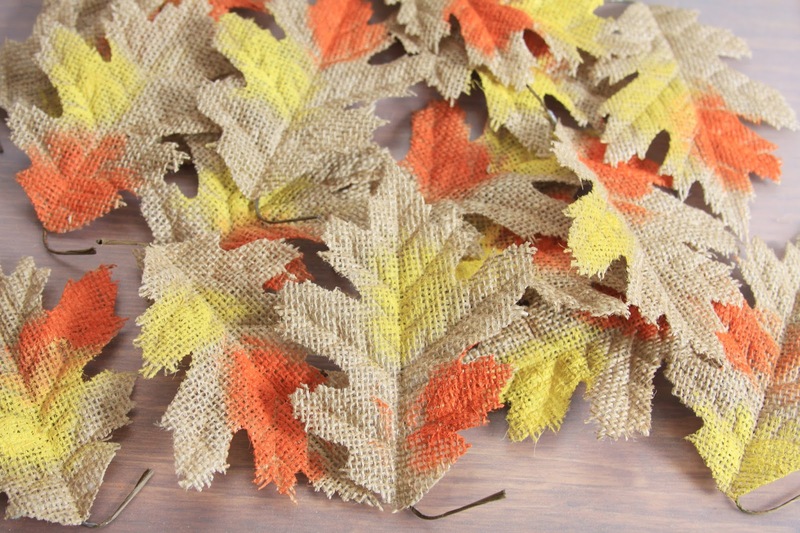 Have you ever wanted to stray from the "traditional" COLORS of Autumn for your FALL home decor or Thanksgiving event? 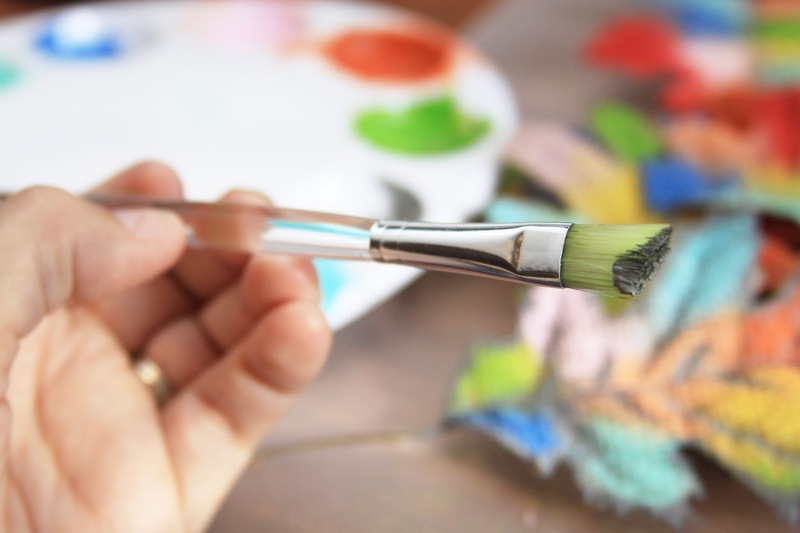 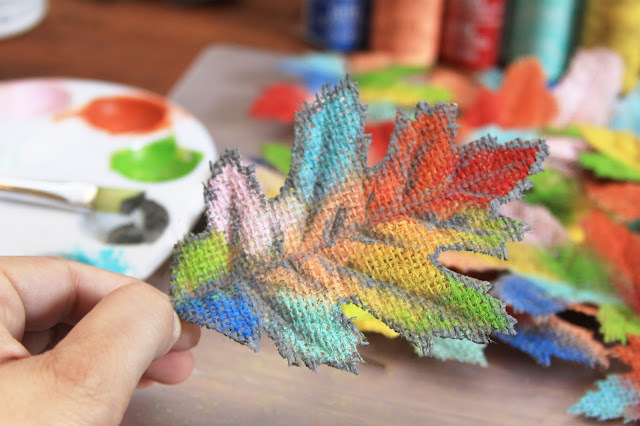 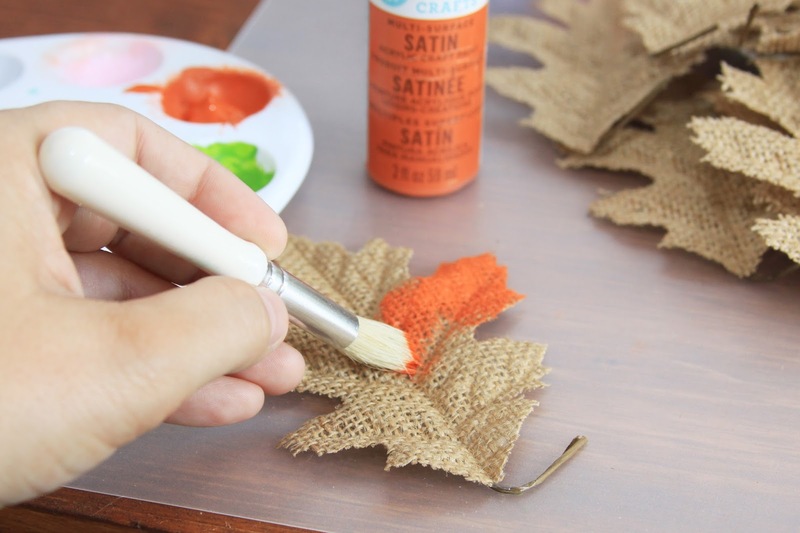 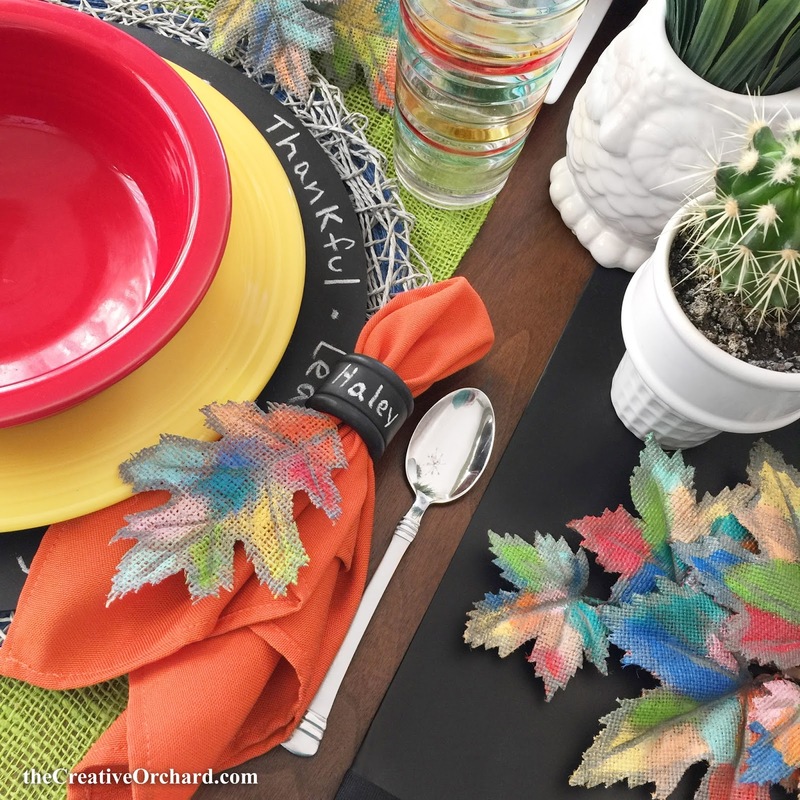 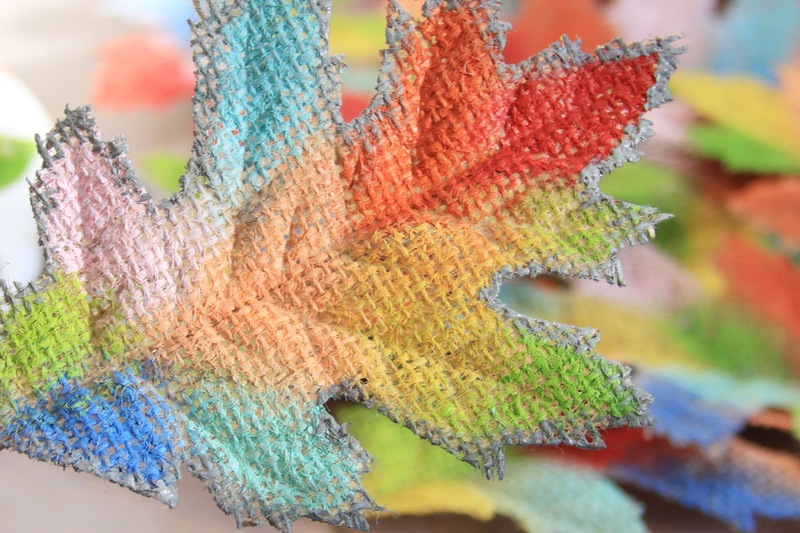 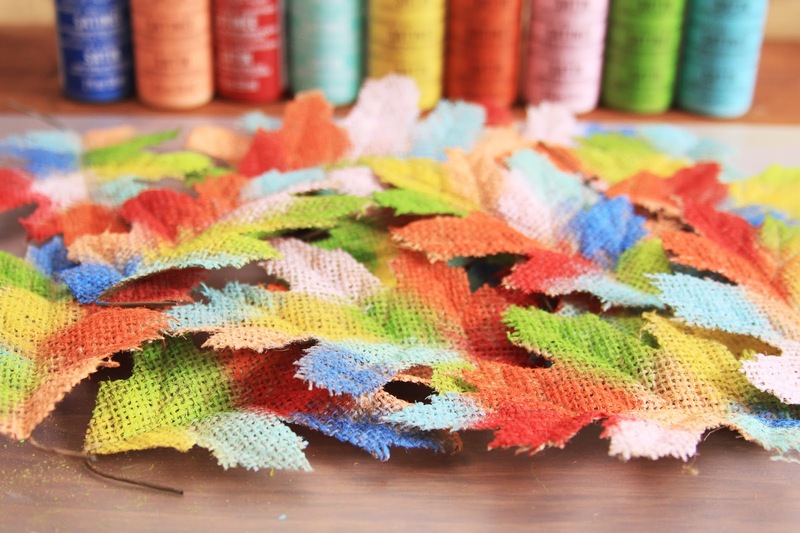 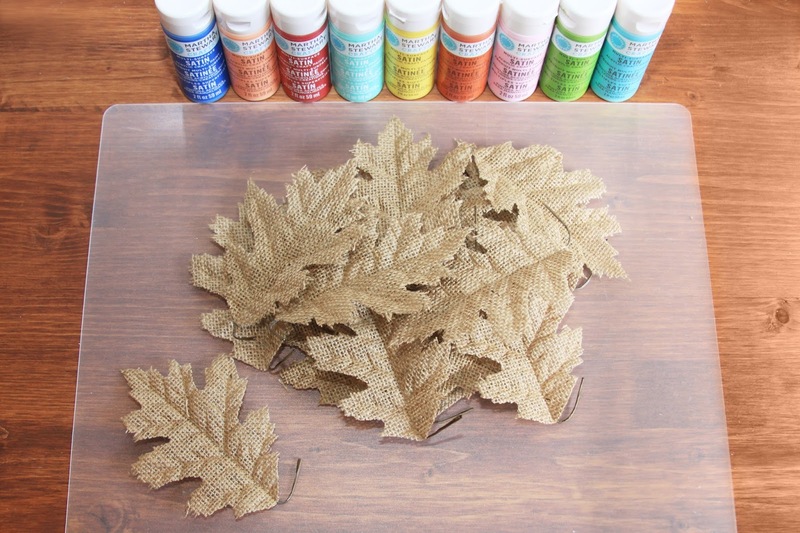 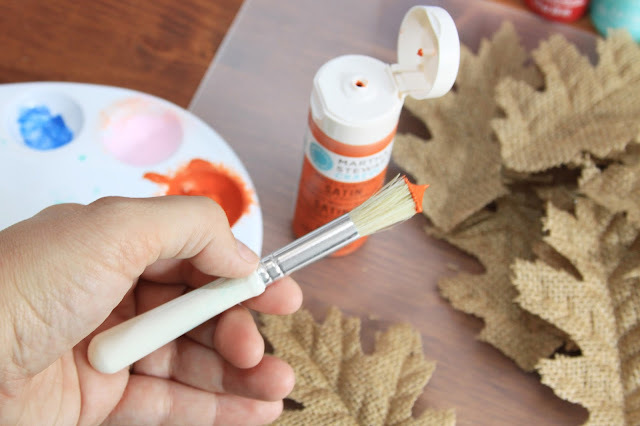 If so, these DIY ARTSY Autumn Leaves might be exactly what you have been looking for. 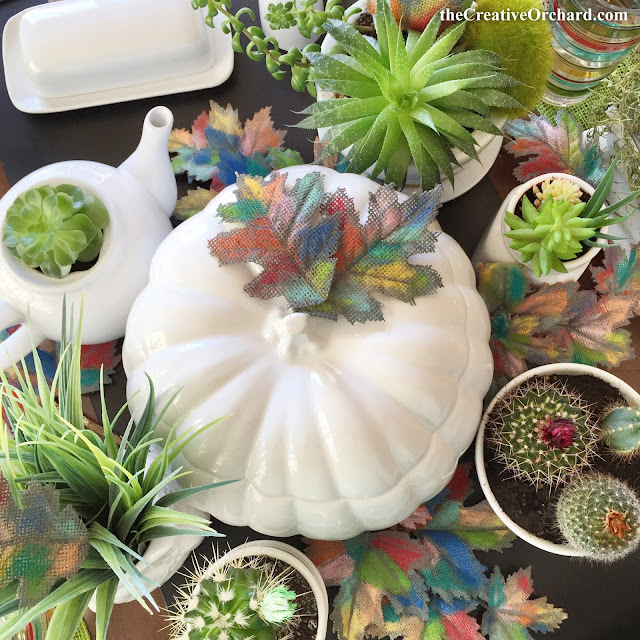 When I originally started thinking about decorating my home for FALL and needed some inspiration, I must admit I felt underwhelmed by all the same "traditional" stuff that I see year after year. The majority of examples online, decorations in magazines and products in stores always seem to have a very similar style and color scheme to me. 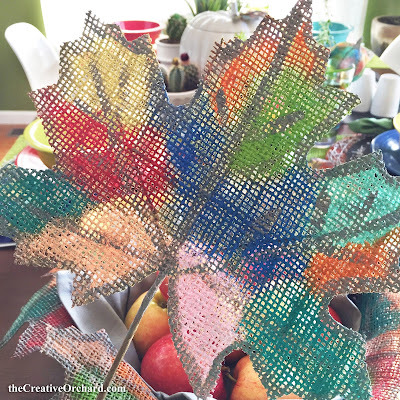 I was feeling a little stuck and uninspired. 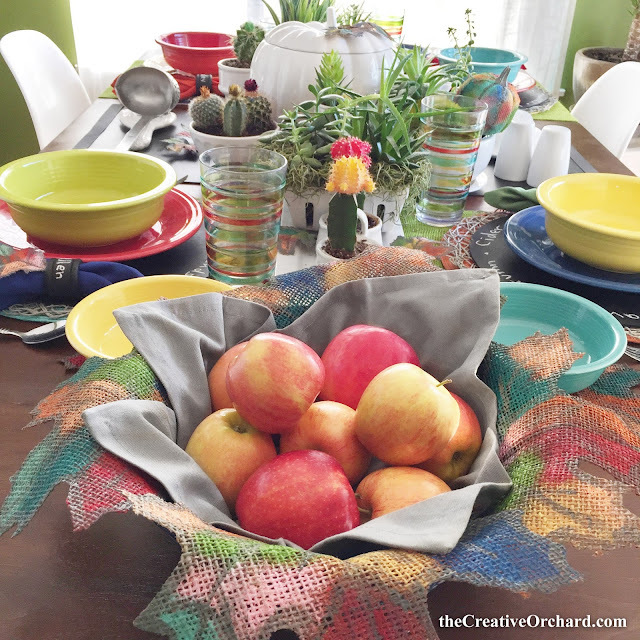 But I decided to go shopping anyway just in case there was something out there that could get a custom Creative Orchard makeover. 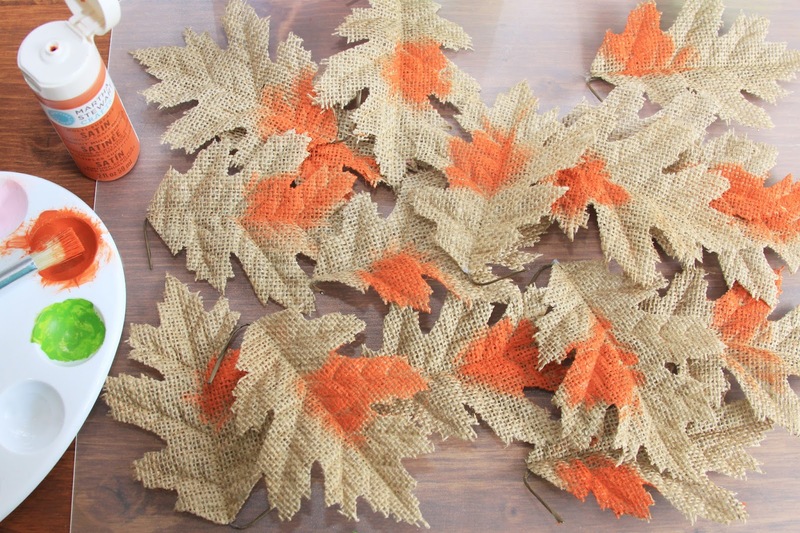 Then, I came across some plain burlap leaves in the DIY FALL section at Hobby Lobby. 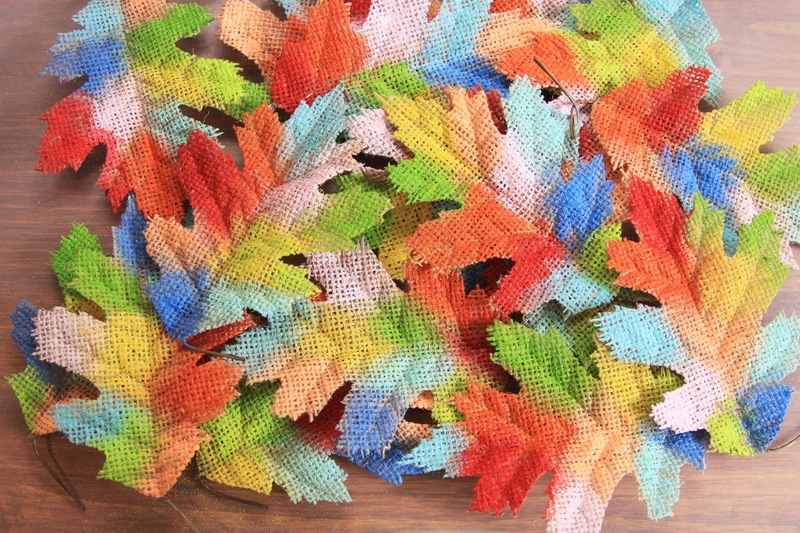 At that moment a CREATIVE IDEA came to mind... what if I hand painted these boring khaki leaves with all my favorite bright COLORS of the RAINBOW? If you can't FIND what you are looking for, CREATE IT!!! 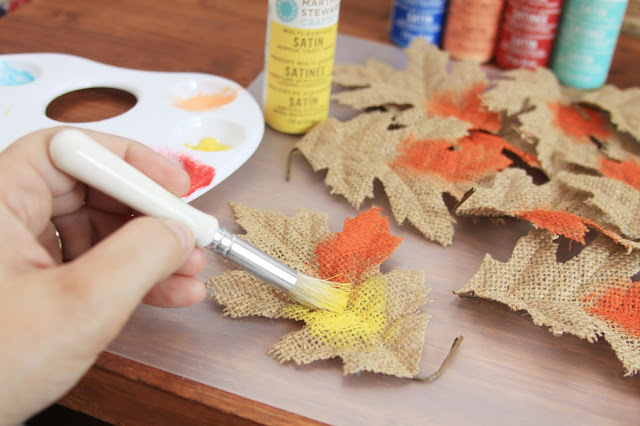 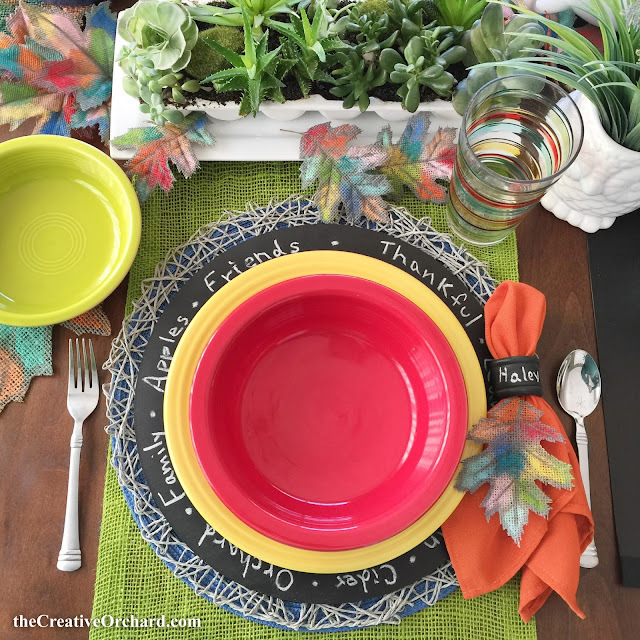 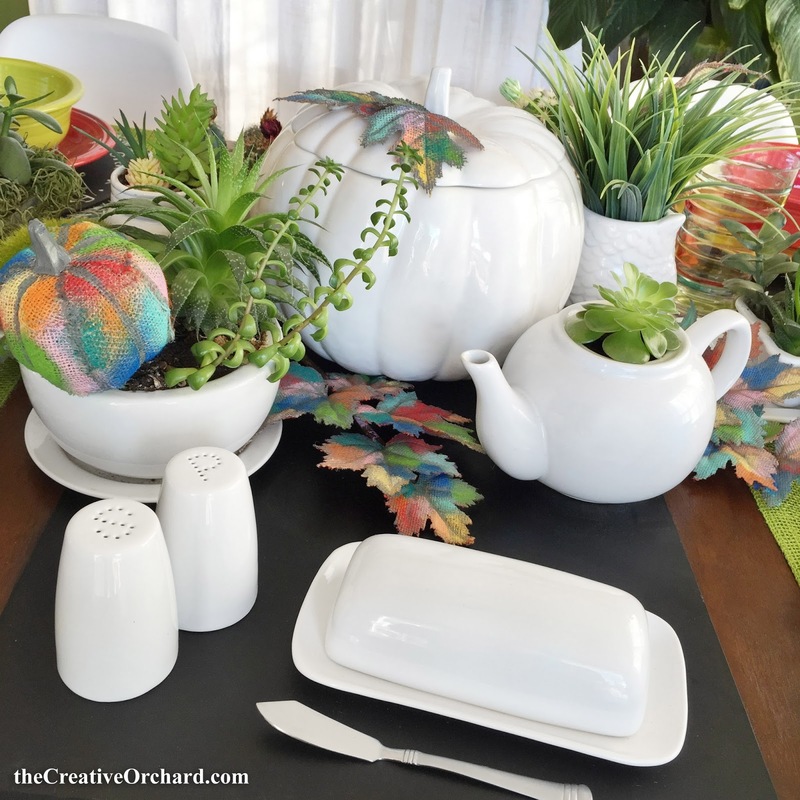 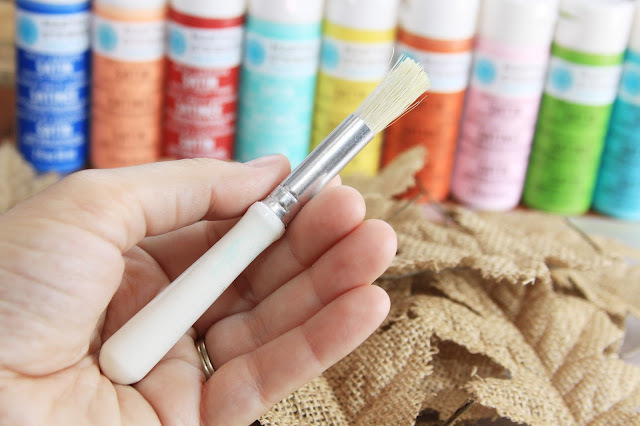 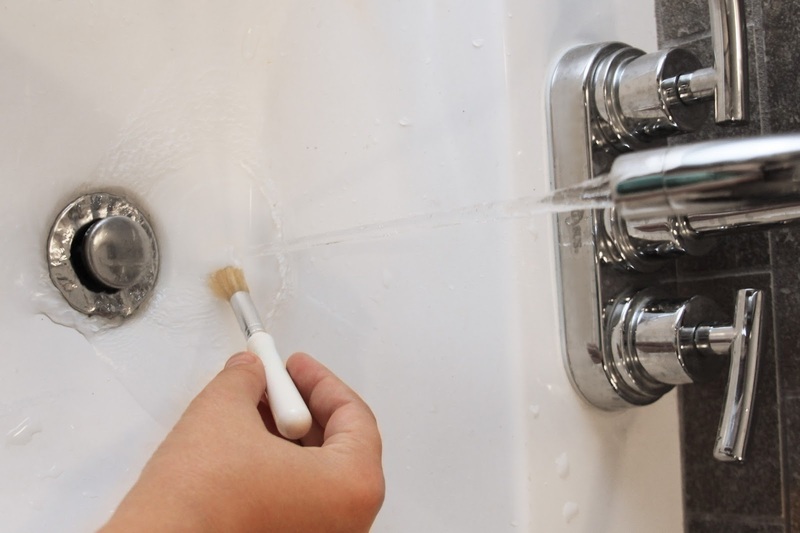 If you would like to see more DIY FALL IDEAS follow #createfall on Instagram! If you would like to see more pics of the DIY ARTSY Autumn Leaves, you should check out my DIY "Eggcorns"! Click HERE!